The South Wales Evening Post today accused Derek Vaughan, MEP, the former Neath North councillor and leader of Neath Port Talbot CBC, of claiming money for attending meetings of the South Wales Police Authority at which he was not present. The 2009/10 report of the authority is said to show that over a period of three months, Mr Vaughan was scheduled to attend three full authority meetings as a representative for Neath Port Talbot — but did not attend them. He also did not go to any "additional events" such as public consultations or meetings with senior officers, according to the Evening Post's information. Update: Mr Vaughan has informed us that the allowance is paid automatically, not claimed. As soon as he was made aware of the situation, he returned the money. We are happy to correct the impression given by the newspaper report. The government is urging councils in England to cut unnecessary road signs, railings and advertising hoardings in a bid to make streets tidier and safer. Communities Secretary Eric Pickles said the number of signs was damaging the character of towns and villages. Mr Pickles said: "Our streets are losing their English character. We are being overrun by scruffy signs, bossy bollards, patchwork paving and railed off roads, wasting taxpayers' money that could be better spent on fixing potholes or keeping council tax down. We need to 'cut the clutter'." But Richard Kemp, the Liberal Democrat vice-chairman of the Local Government Association, told the BBC that decisions about street furniture were for councils, not ministers, to make. "One man's clutter is very much another man's simple signing," he said. "In our shopping streets in particular, we have to get a balance between pedestrians, residents, business needs and motorists, and that's a local decision, not something that a secretary of state should be involving himself in." A flagship One Wales pledge to give grants to first time buyers so as to make their homes more energy efficient has been quietly dropped by the Welsh Government due to a lack of interest. CHARLES Kennedy (in Scotland on Sunday) has described claims he is considering joining the Labour party as "complete rubbish", following reports that he was about to resign in disgust at the Liberal Democrat pact with the Tories. The former Lib Dem leader emerged from a meeting with constituents in Dingwall to declare he would not be joining Labour. discussions about it with anyone from the Labour Party." He added: "I will go out of this world feet first with my Lib Dem membership card in my pocket." Dismissing a report in the Daily Mail of 7th August, a party spokesman said: "William Hague is not part of the conference agenda and I can confirm that he has not been asked to speak at the Liberal Democrat conference. No Conservative ministers have ever been approached to speak at our conference. "Fringe events are still being finalised, and it is of course possible that an independent group may have invited Mr Hague to speak at their Fringe event. But this is no different to any other year and it is common for MPs of all parties to attend these events." Wales Office Ministers are wrong to dismiss out-of-hand the request to devolve power over alcohol licensing to Wales, the Welsh Assembly Member for South Wales West, Peter Black has said. Referring to the intention of the Health Minister, Edwina Hart to seek legislative competence for the Assembly over the licensing and pricing of alcohol through the planned Police Reform and Social Responsibility Bill, Mr. Black said that the proposal deserved serious consideration by UK Ministers. “I was disappointed,” he said, “at the way that Wales Office Minister, David Jones, rejected this bid so quickly. I understand that there is currently an England and Wales consultation in terms of 24 hour licensing and alcohol fuelled crime, but that does not mean that the UK Government should be deaf to requests for this to be dealt with by the Welsh Assembly. Nick Clegg, Liberal Democrat leader, standing in for the prime minister, delivered a speech to mark 100 days of the coalition government. After something like 20 years of campaigning by people like Esther Ranzten, over two previous Westminster administrations, cowboy clampers are to be put out of business. Lynne Featherstone , the Liberal Democrat MP for Hornsey and Home Officer Minister, has moved to implement the commitment in the coalition's programme for partnership government, that:"We will tackle rogue private sector wheel clampers." In the last session of the European Parliament, a member of UKIP’s political grouping, Mario Borghezio MEP, called on the EU to fund and establish a “European UFO centre”. He demanded the backing of the European Parliament for the plan. financial crisis and record deficits. Euro MP Graham Watson said: “Liberal Democrats have always supported greater transparency but what can I say about this? Its out of this world. 29,200 pensioners in Neath Port Talbot will see an increase in their pensions next year. The Liberal Democrats in the coalition government have made sure that pensioners get a fair deal in future. In April, the state pension will increase with the cost of living to make sure that no pensioner ends up poorer just because prices or wage rates have gone up. Local campaigner, Mathew McCarthy, said: ‘Before the election, we promised that we would improve pensions and now that we are in government, we have delivered on that promise. ‘Margaret Thatcher broke the pensions link with earnings in 1980. The Labour government had 13 years to fix this, but did nothing. Within weeks of the election, the Liberal Democrats have restored the earnings link meaning that pensions will increase by a decent amount every year. The Electoral Commission has published trend figures for the larger UK political parties. 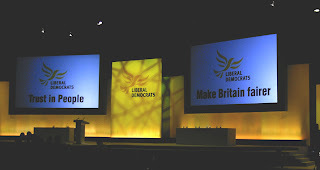 Papers for the Federal Party Conference in Liverpool starting on 18th September are now available online at http://www.libdems.org.uk/autumn_conference_papers.aspx. The main agenda in pdf form is at http://www.libdems.org.uk/siteFiles/resources/PDF/conference/Aut10 agenda book rev.pdf; the motions start at page 14. A text-only version should be available in due course for those who have difficulty with large pdf files. The Aberavon & Neath party plans to have a representative in Liverpool. We would be interested in constructive views by non-members, or members who cannot get to either of our two meetings before the conference. Carwyn Jones recently used a speech at the Eisteddfod, purporting to support a Yes vote, to link the referendum on law making powers with the need to review the Barnett funding formula. Kirsty Williams AM, the Leader of the Welsh Liberal Democrats. has today written to the First Minister, warning him that a strong cross party campaign will be needed in order to win the referendum in 2011 and seeking his assurance that he will avoid hijacking the referendum issue for party political advantage in future. She commented: “I am dismayed that Carwyn Jones has used his position as First Minister to introduce an inaccurate and partisan claim into what should be a united campaign. In making such statements, without discussing them with the leaders of other parties who support a Yes vote, Carwyn Jones is danger of dividing the Yes campaign before it even gets off the ground. “The ‘Barnett formula’ system of funding is widely discredited and delivers a poor deal for Wales. But it is Labour’s formula – invented by Labour and sustained by successive Labour governments. "The issue of Barnett review is separate to the debate on strengthening law making powers for Wales. "The UK Government has acted swiftly to ensure a referendum on law making powers takes place as early as possible. The Liberal Democrats in Government at Westminster are now delivering on our 100 year old commitment to devolve real power from Westminster to the Welsh people and we want to work constructively with progressives in all parties to secure a yes vote." Simon McGrath recalls the only occasion in the last hundred years when the government has sought to interfere in the work of the independent Boundary Commission. James Callaghan, the Home Secretary under Harold Wilson's first premiership, prevented implementation of a long-overdue boundary revision by means of a devious parliamentary manoeuvre. Labour still lost the 1970 general election to Heath's Conservatives.